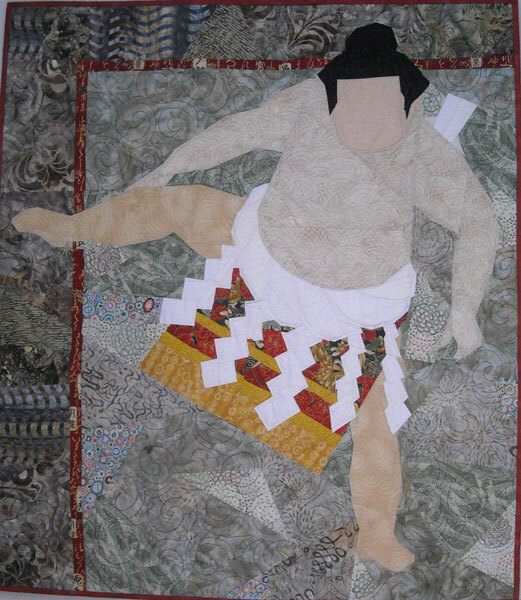 When I lived in Japan I admit to being caught up in the sumo frenzy. One of my favorite parts of a tournament was the ring entering ceremony where the high level wrestlers (Yokozuna) performed a ritual dance. The ceremonial apron depicted in this quilt was one I had always thought looked like patchwork.